The iSAFE Responder offers revolutionary Two-Way communication directly though the pendant, allowing you to get help, Anywhere, Anytime! No landline phone required. Alert Sentry provides help at the push of a button. Simply push your necklace or wristband button to initiate your call for help. 2. Speak with our expert, trained operator. 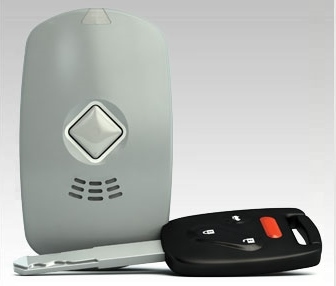 Alert Sentry automatically puts you in 2-way voice communication with our Alert Sentry Operators. They will assess your situation and get you the help you need. If you are unable to speak, help will be sent immediately. In an emergency, the Alert Center Operator will dispatch the appropriate emergency services immediately. If your situation is not urgent, the operator will contact one of your “Personal Responders,” a family member or neighbor as directed by you. *Within GSM cellular coverage area in USA. Location of availability is based in network coverage. Fall detectors do not detect 100% of falls and Location availability based on network coverage. 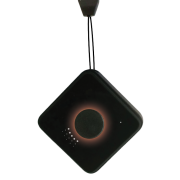 The iSAFE Elite, like the iSAFE Responder, offers Two-Way communication directly through the pendant and also includes Automatic Fall detection and GPS*. Safety for people “On the Go!”.